If your order weighs less than 13 ounces, save huge on shipping with USPS first class (with tracking number). This product weighs 2.1 oz. Nature’s Sunshine Charcoal, Activated promotes healthy cleansing and detoxification processes by binding toxins in the digestive system. Its usage to enhance absorption goes back 2,000 years. 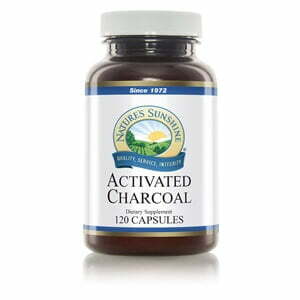 Additionally, charcoal may assist the digestive system in release of intestinal gas. 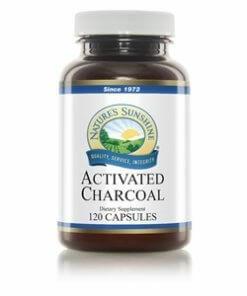 Nature’s Sunshine Charcoal, Activated capsules contain 260 mg of activated charcoal. Instructions: Take four to eight capsules with water at least two hours after or one hour before eating a meal.